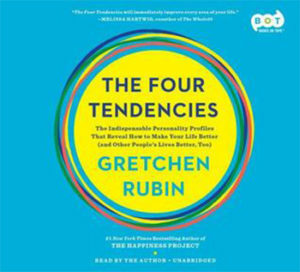 Author Gretchen Rubin’s book The Four Tendencies explores how people react to both internal and external expectations, and the best way to interact with each tendency. The four main tendencies are Upholders, Obligers, Questioners, and Rebels. Rubin asserts that identification of a person’s tendency will enable that person to live a more successful life, as s/he will be able to tailor approaches to work and relationships to the characteristics of the tendency. Rubin’s theory has played an integral role in our company, as we are all able to recognize the best way we work based on our own tendency. Additionally, knowing the tendencies of those around us makes understanding why people act the way they do easier and lays a path for how best to interact with them. 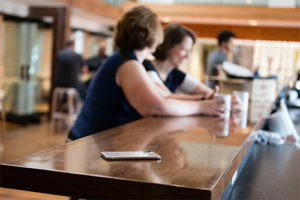 The Four Tendencies also played a role in designing The Arena App, as we were able to figure out how each tendency could use the app to best suit their responses to expectations. Keep reading to find out how The Arena App can work with your tendency! Upholders tend to meet both inner and outer expectations, which means they don’t want to let themselves or others down. This makes it easier to form habits but can lead to over-commitment (Rubin, 2017). Arena’s combination of admitting to the effort/impact of the task and placing it in your actual calendar makes it so much easier to keep your commitments to yourself and others. Arena’s best approach to meeting internal accountability is that it ensures you’re doing what really mattered. Obligers tend to meet outer expectations, which means they need some form of external accountability (Rubin, 2017). External accountability can be met by sharing your accomplishments bar or your insights statistic. Arena’s best approach to meeting external accountability is that it ensures you’re doing what really mattered. Questioners tend to meet only inner expectations while questioning others’ expectations. Things that are arbitrary, including rules, are resisted (Rubin, 2017). Question everything as you add it to Arena, then question it daily when you’re planning the next day. Arena’s best approach to meeting internal accountability is that it ensures you’re doing what really matters. Rebels tend to resist both inner and outer expectations and instead value authenticity (Rubin, 2017). Authenticity in Arena is about listing only the projects that matter, and only assigning them to a particular day when you know you’re going to do them. Arena allows you to complete the work that matters, to know that it’s complete, and to leave you free to do whatever you want next! The main focus of The Arena App is to help you through your day in a way that will allow you to focus on what really matters. Regardless of your tendency, the important thing is that you are in control of your tasks. Finish your day with the peace of mind that you accomplished everything you could, in the time you had available, and in the way that works best for you.